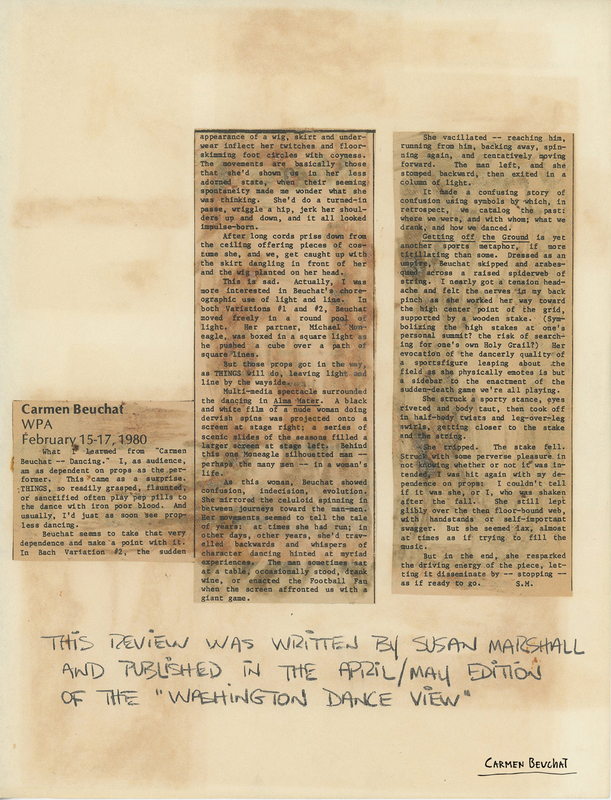 Press review, written by Susan Marshall for Washington Dance View in its april/may edition of 1980 in Washington DC, about a series of Carmen Beuchat´s work performed at the Washington Project For The Arts. It analyzes the series called “Carmen Beuchat. Dancing” that includes “Bach Variations #1”, “Variation # 2”, “Alma Mater” and “Getting Off The Ground”. Michael Moneagle participated in the production of this series. Physical Description: Press clipping on white paper 26 x 28 cm.